Roofline is one of the key features of your home in Southbourne, Bournemouth, Christchurch and the surrounding areas. It plays a vital role in protecting your roof space and your brickwork from natural elements. At Immaculate Home Improvements, we offer a complete range of roofline products, which are precision engineered for style and durability. The roofline we offer is specifically designed to complement your architecture, and there are a number of options for you to choose from. 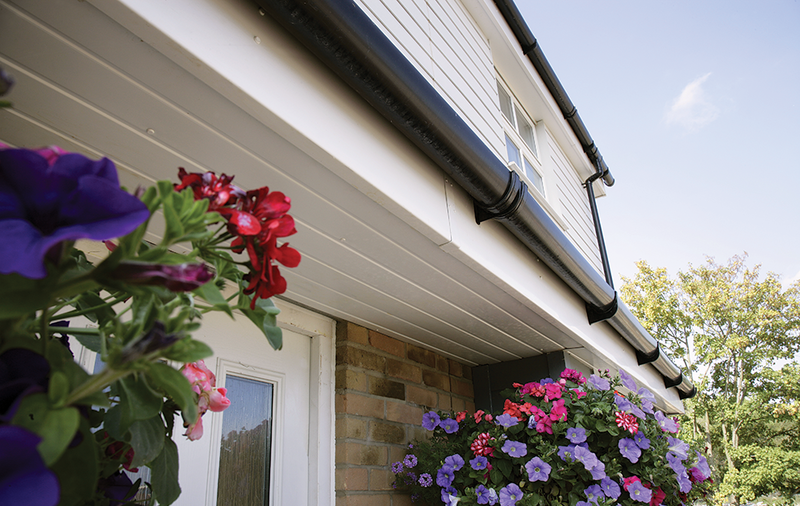 We work with leading manufacturers to ensure your home benefits from high performance and fresh-looking soffits, fascias and guttering, creating a neat finish to your property and offering durable protection against the wind and rain. The Roofline is essential to keeping your property in excellent condition. However, many people don’t even notice these products. Starting with soffits, these are the element of your roofline that is seen from the street. They fit underneath the fascias and work to protect the roofline and brickwork from the elements. Soffits are designed to be stylish and they are also generally ventilated to allow movement of air around the roof space, protecting it from damp issues. Fascias are the most functional part of your roofline. These boards run along the edge of the roof, supporting the last row of tiles and providing weather protection for the fittings. They are waterproof, hard wearing and come in a range of colours to complement your property style. Guttering is the part of the roofline which works the hardest. It catches the rain as it comes off your roof and drains it away from your property. This stops the rainwater from running down your brickwork and seeping into your home. You can benefit from a variety of modern developments when you choose new guttering, with specific elements designed to limit debris from blocking up the drain. The roofline we install in Bournemouth, Southbourne, Christchurch and the surrounding areas offers superb quality. It is crafted from high-grade uPVC which is designed never to warp, rot or fade. You will benefit from an endless fresh style with our roofline, and all with little upkeep required. 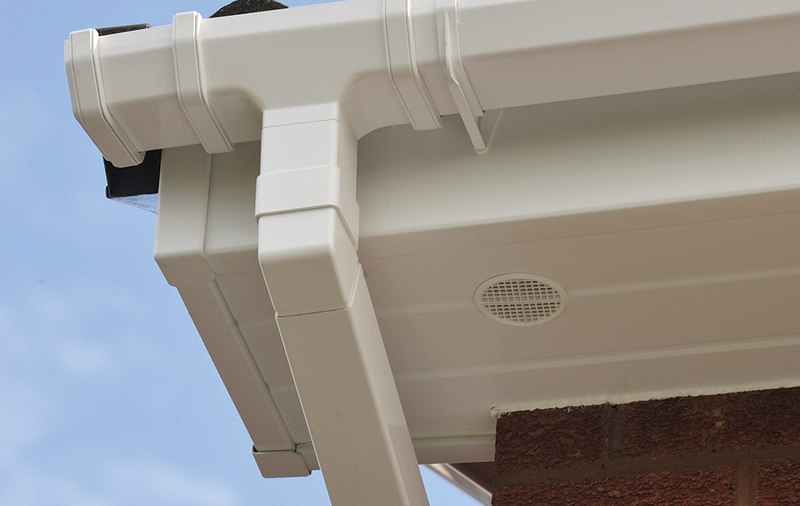 Our durable fascias, soffits and guttering are specifically designed to be easy to maintain. All you will ever need to do is keep your roofline clean to ensure it performs to the highest standards and looks fantastic for many years to come. We offer a range of options for your roofline upgrade, giving you a choice of colours, as well as styles to create the most perfect finish possible. When you choose Immaculate Home Improvements for your new roofline in Southbourne, Bournemouth, Christchurch and the surrounding areas, you will benefit from highly trained specialists, whom are able to enhance your home to the highest standards. Our teams are fully qualified and have extensive experience in the work they undertake, ensuring the quality of the installation meets the quality of the products we install. In addition to this, we offer exceptional customer service to all our customers. We are renowned for the support and guidance we give our clients, complemented by our honest approach to home improvements. From the moment you get in touch with us, we will help you to find the ideal options for your property upgrade. Our past clients have given us excellent reviews, evidencing the exceptional property services we provide, and with a wealth of products for you to choose from, you can be confident we can help with all your home improvements. We also offer a vast range of luxury double glazed windows and doors, quality bathrooms and high-end kitchens to help you create a home which perfectly complements your lifestyle. Full-service roofline installation – Immaculate Home Improvements offer full-service fascias, soffits and guttering installations. We provide all scaffolding in our quote, leaving you with less to worry about. Trusted local experts – We pride ourselves as being the leading home improvements and construction company in Bournemouth. Accredited by such names as Which Trusted Trader, Checkatrade and Trustmark. Bespoke designs – Our expert home improvement specialists build all roof protection systems unique for each home. Ensuring the perfect fit, giving your property complete protection from cold and wet weather. Customer Service – We are exceptionally proud of our home improvement work in Bournemouth. Our aim is to deliver a smooth and stress-free service for you and your family when working on your home. We are here to answer any questions from start to finish. Satisfaction guaranteed. Enhancing your Southbourne, Bournemouth or Christchurch home with new roofline will add kerb appeal with fresh style. It is a simple, yet efficient way of upgrading your property. The prices we offer on fascias, soffits and guttering ensure you benefit from luxury products with cost-effective quotes. We are here to help so, to find out more, contact us online or call 01202 427700 and our customer advisors will give you all the advice and guidance you need for your home improvements. Our roofline services are a spectacular addition to any property in Bournemouth, Southbourne, Christchurch and the surrounding areas.